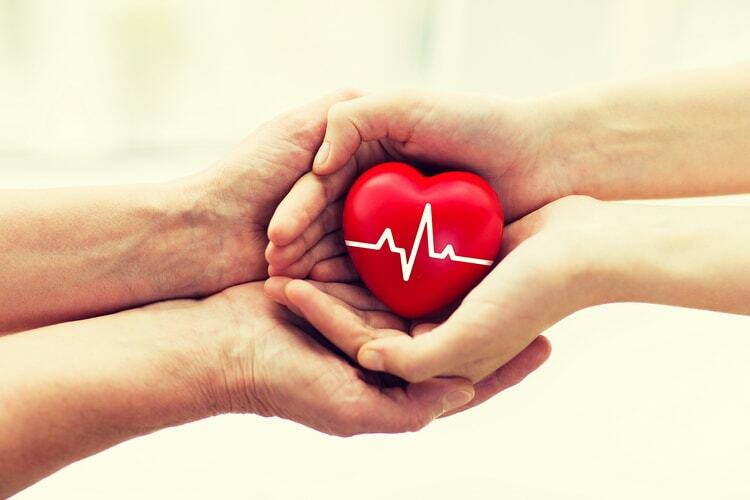 The statistics surrounding heart disease in the United States are startling. According to the American Heart Association (AHA), more than 2,200 Americans die of heart disease every single day. This means one in four deaths are caused by heart disease annually. Additionally, someone suffers a stroke every 40 seconds in this country. While cardiovascular disease can strike anyone, certain individuals are more at risk than others, including smokers, those with high blood pressure or those who are overweight. Your heart is the hardest-working muscle in your body, so it’s vital that you take steps to protect it, keeping it strong, healthy and your blood flowing as it should. February is already the month associated with bright, red and pink hearts thanks to Valentine’s Day. But, there’s another reason we should think of hearts this time of year; it’s also American Heart Month! American Heart Month has been celebrated since 1964 when it was established by President Lyndon B. Johnson via Proclamation 3566. At the time, ten million Americans suffered various cardiovascular diseases, and it was clear more research was needed for the prevention, treatment, and diagnosis of these diseases. Today, American Heart Month provides Americans with a way to remember the importance of cardiovascular health and to join the battle against heart disease. Since 2004, February has also been the signature month for the AHA’s Go Red for Women campaign, spreading the message that heart disease is not just a disease suffered by men. Since 1996, the AHA has invested more than $3.7 billion into studies and research about heart disease. Additionally, the Million Hearts initiative was launched by the Department of Health and Human Services in September of 2011. Every year, Million Hearts creates a new campaign for American Heart Month, and the theme of 2018 is You’re in Control. The goal is to get younger individuals to take control of their heart health, as national trends now show heart disease death rates declining more slowly than in the past for those between the ages of 35 to 64. Ditch any unhealthy habits. Bad habits like smoking or excessive drinking can take a major toll on your heart health. In fact, people who smoke are at a greatly increased risk of developing heart disease over non-smokers. It’s time to have a discussion with your physician about how you can quit these types of unhealthy habits for good. Lead a heart-healthy lifestyle. Make adjustments to your daily routine that have a positive impact on your heart. For example, studies show that women who eat a nutritious diet full of fruits, veggies, whole grains and lean proteins decrease their risk of a heart attack by up to 92 percent. Additionally, it’s recommended to get your heart rate up for 30 minutes every day by finding an activity you enjoy, whether it’s walking, swimming, biking or even chair exercises. Stay socially engaged. Research shows that people who enjoy regular social interactions have significantly lower blood pressure than those who are isolated. As high blood pressure is a major contributing factor to heart disease, spending time with friends or loved ones becomes even more important. As an added bonus, having a good support system can even help you stay motivated to continue exercising on a regular basis, especially when you plan to work out as a group. Enjoy restful sleep. Experts recommend that seniors get at least seven hours of sleep every night to give the heart the break it needs to work strongly throughout the day. Sleeping allows your body the chance to shut down and recover, lowering your blood pressure and heart rate, too. Manage your stress. Find ways to relax and lower your stress levels. This could be as simple as turning off your cell phone or television, enjoying some quiet moments daily or spending time with friends. Stress can have a negative impact on your heart health because, intense situations, your brain releases potentially harmful hormones like adrenaline and cortisol. Improve your heart health this American Heart Month and beyond at Peabody Retirement Center. In the Billie Jean Strauss Wellness Center, we focus on wellness in all eight dimensions: emotional, physical, environmental, social, intellectual, spiritual, vocational, and health services. This best-in-class, 7,000 square foot complex offers cutting-edge equipment for both therapy and wellness to ensure you’re living your best life. Learn what celebrating the ageless spirit truly means at Peabody. Our team is looking forward to meeting you! Please contact us today to learn more about our vibrant senior living community in North Manchester, Indiana.